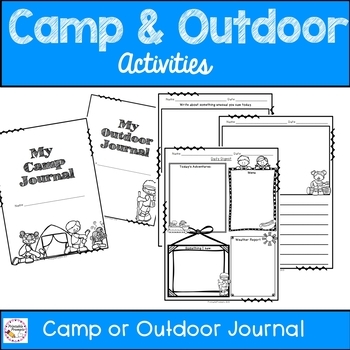 Keep students writing and thinking as they experience camp or an outdoor classroom unit. 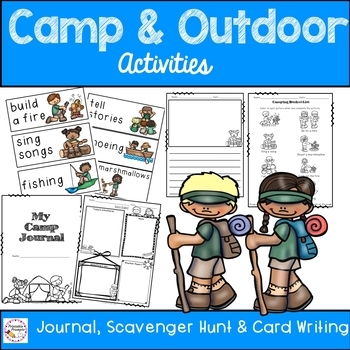 These writing pages and prompts help students to write about a day at camp, or what they might see outside during a camping themed unit. 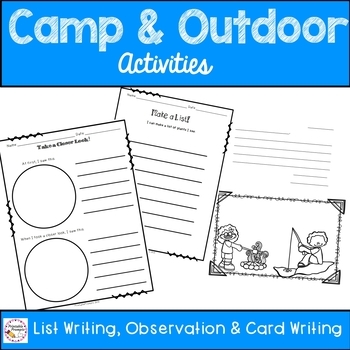 Writing pages, make a list templates, vocabulary cards, and scavenger hunt and observation pages. Also included are card writing templates so students can write to others to share what they have seen or learned! 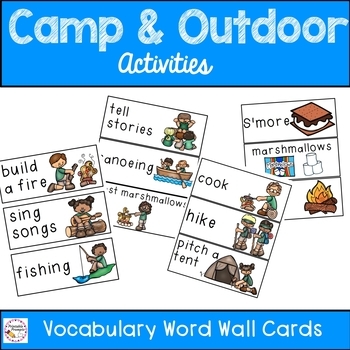 This resource is also included in my Camping Activities bundle.